Extending way beyond the food and ingredients consumers put in their body, just as vital to a natural lifestyle are the products people put on their body. With such significant growth predictions for the natural beauty industry, it’s no surprise that suppliers are jumping on the natural product bandwagon in their droves. And, who are we to argue? More natural products on the market is a good thing. They’re beneficial for the environment. They’re ethically made. And they nourish bodies with gentle ingredients just the way nature intended. The problem with natural products at this point? Unless you use Biologi, ‘natural’ on a label doesn’t mean ‘natural’ as a consumer understands it. A combination of clever marketing and a concerning lack of regulations within the skincare industry has created a multi-million dollar a year industry that’s growing in value but categorically does not do what it says on the tin. But how is this allowed? In the skincare industry, manufacturers don’t have to prove what they say on their labels. Playing on the connotations the average consumer associates with the word ‘natural’, manufacturers are throwing the term around loosely, to say the least. Partly out of habit. Partly from a lack of knowledge. But always as a ruse to encourage a consumer to choose their product first. 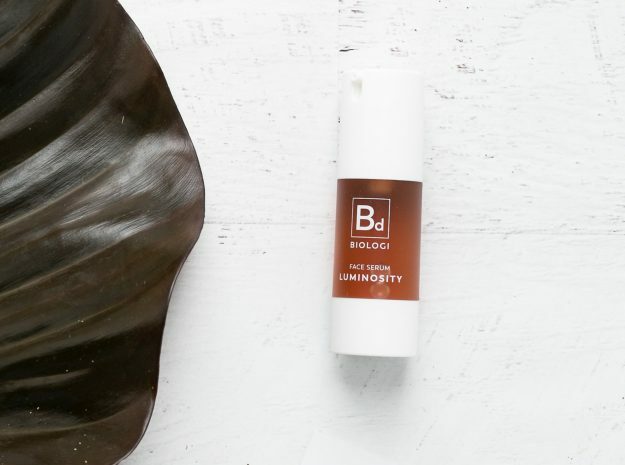 At Biologi, we fight for transparency across the skincare industry and, with 30 years’ experience in research, cosmetic product development, and active ingredients, we want to share some simple truths about the natural skincare products you’re putting on your skin and therefore into your body. If you see any of the following words on any of your labels, it’s a safe bet your product is laden with toxic and harmful chemicals. I know, I know. How can these terms appear on our labels if they’re chemically-based products? The short answer is marketers can say what they like on the side of your bottle, packet, or jar. The long answer comes down to consumer’s understanding of the exact meaning of those words. Those terms don’t have a grading system or clear definition within the industry and they’re open to interpretation. Unfortunately, the interpretation of those who create the packaging overrules the interpretation of the consumer 100% of the time. NATURE TIP: Ignore taglines and always look at the ingredients list found on the bottle or jar to find out specifically what’s in your product. ‘Derived from natural ingredients’ does not mean natural. This term is used by manufacturers who are trying to convince their customers they have no nasties or chemicals in their products. Natural ingredients are often processed with chemicals (which are synthetically produced by humans) to make them smell nice, activate or stabilise the ingredients, or just to make the product stretch further. It’s perfectly legal (and indeed, commonplace) for a product that is no longer natural in any way to be slapped with a label that says, ‘naturally derived’ and to lead consumers into believing they’re doing the right thing for their bodies. Would you call plastic or petrol a natural ingredient? Both started off as plant material many millions of years ago but their ‘naturally derived’ version is a harmful toxin if ingested. Phenoxyethanol is a preservative commonly found in natural and organic products. It naturally occurs in rose essential oil, so companies are able to label it as ‘natural’ even though by the time it reaches your bathroom shelf, it’s purely a synthetic ingredient. NATURE TIP: Remember that ‘naturally derived’ can refer to a product that contains 100% chemical or synthetic ingredients. Paraben free isn’t always good for you. ‘Paraben free’ is the cosmetic buzz word that everyone’s looking out for. Think ‘CFC free’ of the 80’s. Or ‘against animal testing’ of the 90’s. Parabens are chemicals widely used to preserve cosmetics so they last longer and stretch further. The danger of parabens is that they potentially contain cancer-causing properties and are high up on the list of dangerous ingredients to avoid. The fear factor means that a product labelled as ‘paraben free’ is often enough for a consumer with a lot of choice to make their decision without considering that ‘paraben free’ products can – and do – still contain harmful ingredients. NATURE TIP: If a product is labelled ‘no parabens’ or ‘paraben free’ look at the synthetically made preservatives that take its place. Ingredients like Benzyl Alcohol, Polyaminopropyl Biguanide, and Naticide can cause just as much harm but consumers aren’t aware of these because they’re not used to hearing their name. Yet. Natural products that foam are a physical impossibility. Foam contains surfactants which are manmade and clearly not produced by a plant or tree. Natural ingredients should only appear in nature so look for properties (like strong fragrances or foam) that make it easy to spot a product with synthetic ingredients. NATURE TIP: Until you see a foaming flower, always assume foam products are filled with chemicals. So how do you choose natural skincare? Today, more than ever, consumers are seeking products that offer safe and natural ingredients that meet their needs without the use of chemicals or posing toxic threats. Biologi offers the first and only commercially-available natural skincare range. Our serums contain pure plant extract, and nothing else. Our founder has developed a unique extraction method that harnesses the plants internal process to avoid the need for harmful chemicals or synthetic ingredients to activate or stabilise the serum. We control our whole production process from start to finish and we’re completely transparent about how we get our products directly from the plant straight into your bottle. Naturally.